Thanks to our caring volunteers and supporters, the Youth Program had a busy year in 2017. We conducted several “Kids Clinics“ teaching them how to paint, landscape, and develop miniature layouts. 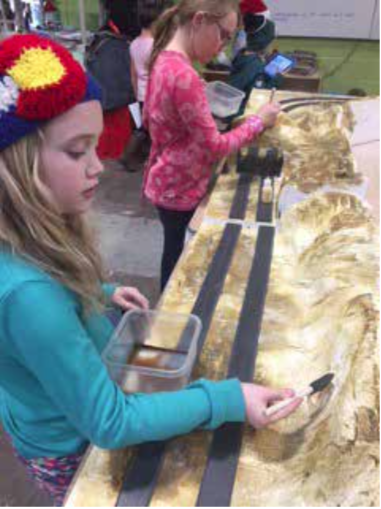 We also conducted several tours of the Colorado Model Railroad Museum for the Boy, Girl, and Cub Scouts at the museum. 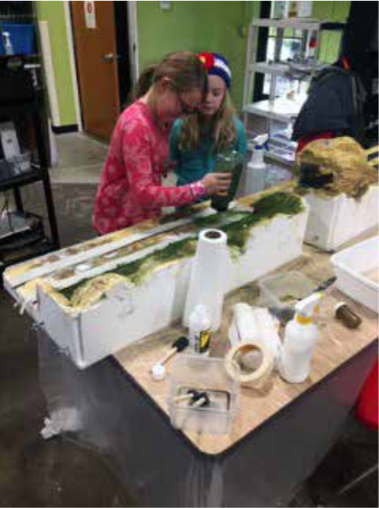 Museum volunteers also engaged with the local community, setting up temporary model layouts at the Centennial Village and the Greeley County Club as part of those organizations’ holiday celebrations. Recently we began collaborating with the Fred Tjardes School of Innovation to teach kids how to build modular layouts. This innovative school opened this fall in downtown Greeley within walking distance of the museum. The school is based on natural learning through projects, discussions, and guidance. Their teaching model uses adjustable spaces, taking away desks, chairs, and lectures. This approach gives the kids experiences and opportunities to explore. 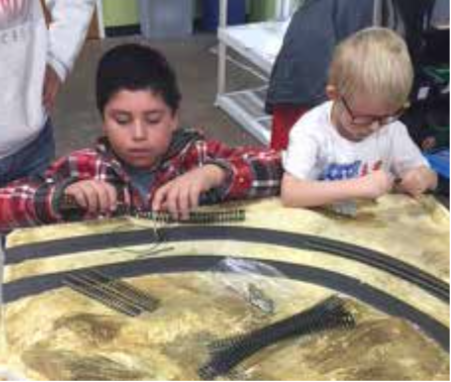 The museum’s Youth Program volunteers have been meeting with a group of 12 to 15 students daily for six weeks teaching them about trains. We started out working with children in grades one through four, and starting in 2018 we will work with a similar group of kids in grades five through eight. The focus is on providing a background of the history of railroads and how they are integrated into our environment. We’re so lucky to have all of you as part of our community. Thank you for making 2017 an amazing, impactful, and meaningful year for the organization and for each of our students. Our focus during 2018 will be on supporting our local schools’ STEAM (Science, Technology, Engineering, Art, and Math) Initiatives. The Youth Group will also support the local Boy Scouts Railroad Merit Badge University by serving as counselors for two sessions in January, one in March, and one in April. We also look forward to engaging our other community organizations to collaborate in our programs during a busy new year. 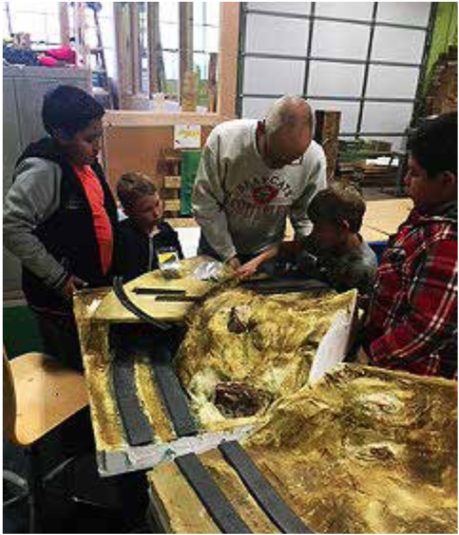 Larry Scovill works with the kids to fit track sections on their modules. Now they are applying ground foam and other landscaping materials to their modules. The boys are laying track on the modules. Several students are learning scenery techniques while painting modules.